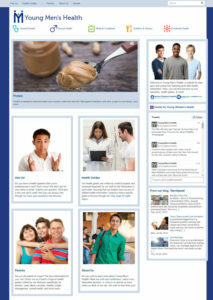 Congratulations to our brother website: youngmenshealthsite.org! It’s a brand new look with the same quality information written by expert adolescent medicine clinicians at Boston Children’s Hospital. Just like youngwomenshealth.org, our brother site was bursting with information that begged for easy to use online tools to make finding resources wicked easy. Now they have it all: easy to find health guides from Acne to Zinc and everything in between, plus answers to embarrassing questions, and even tips to help you bring up health concerns to your health care providers. Oh and did I say BLOGS? So, please check out our bro’s new transformation! I guarantee you’re going to like what you see! Be the first to check out the new website that went LIVE today!